Barbara has over 25 years of customer service in various trades and has fun working with people. You’ll know that as soon as you meet her. 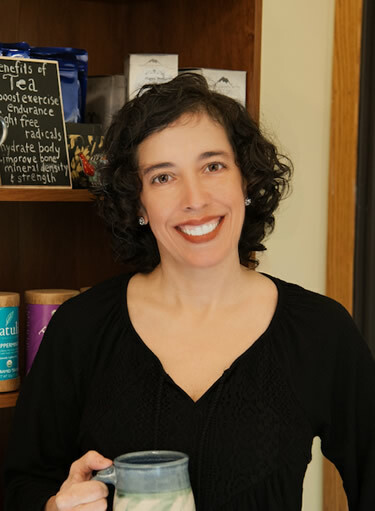 She keeps everything here at the clinic running smoothly and is your contact person for appointments, ordering supplements, office inquiries and is an advocate of tea: creating, experimenting, trying new recipes, utilizing both local and national resources. She has a strong belief in the body’s innate ability to heal itself and implements healthy living into her daily life. She is a great example of aging slowly! Barbara and her family enjoy outdoor activities such as biking, hiking, kayaking, trap shooting, pistol league, sporting clays, pool league, feeding and being entertained by their chickens, and throwing the Kong ball for their 13 year old English Springer Spaniel, Minni, who still plays with puppy-like tendencies. In her spare time, she enjoys dance, World music, and strumming her guitar in her renovated corn crib.